Information here is provided by IFAs at CMME, a specialist in contractors' financial affairs (Contact details at bottom). It may be that you've not already made arrangements on the pension front or don't currently maximise the allowances available to invest. It is important to stress that contractor pensions are big news in the post IR35 world. They represent one of the few remaining tax breaks available to contractors. You invest money direct from your company bank account, saving not only the income tax that would ordinarily be payable but you also avoid the employers and employees national insurance contributions. 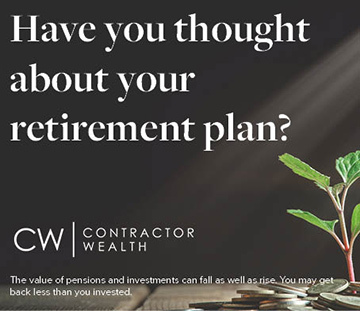 The funds then grow in a tax-free pension fund and represent the most efficient way of benefiting from your contractor pension. Other investments that are funded personally, from 'net' income, start at a huge disadvantage by virtue of the initial tax hit needed to get the money out of your company in the first place. There are two distinct options when looking at pensions for contractors and which is most appropriate will depend on contractors individual circumstances. These are the most widely known and are available to virtually anybody (they can even now be funded for children/grandchildren and non working spouses) with the exception of those contractors who run their own limited company and already pay into an executive pension. Most people will be able to invest up to £300pm irrespective of salary. Above this level age related allowances come into play and are based on a percentage of annual salary and any benefits in kind that you pay tax on. Even though these are 'personal' plans they can, and in most cases should, be funded from your limited company. The ability to soak up unused pension allowances from previous years has now been abolished but in its place contractors now have the ability to nominate a 'base year' over the past 5 years and invest on the basis that they are earning that salary in this current year. It is therefore possible to use a potentially higher salary from non-pensioned permie days to maximise the ability to transfer funds from company to pension fund now that you are a contractor. Much has been made of the new stakeholder pensions, although in effect they are almost identical to personal pensions but have a 1% cap on the charges that are levied by the product providers. In reality most personal pensions have fallen into line with this low charge regime but in some cases there are benefits in looking at the personal route in terms of the range of funds available. 'Executive pensions' aid entrepreneurs who run their own limited companies, other businessmen and executives who inevitably neglect pension planning whilst they build their business. For any given salary and age the Inland Revenue set allowances that take into account previous pension history, marital status and the length of service with your limited company. These maximum-funding calculations can often provide far greater scope to invest in an EPP than a personal pension/stakeholder plan. A downside is that the plan is tied more rigidly to your limited company and benefits are salary related. Providers have also continued to charge numerous admin fees to administer what is very much a niche pension product- fees that now look high in relation to the low cost stakeholder/ personal pension plans. Thus this extra funding and tax saving scope was only available at the cost of higher charges from the insurance company. Where choice of pension provider is concerned, we would only ever recommend a company with low set up costs (many pensions still seem to be far too good news for the provider and lousy value for the investor), be flexible enough to reflect the likely-hood that you will not always be a contractor, have the ability to stop/start/cease contributions literally on month by month basis and finally be with a institution that has the financial strength to still to be around in 10 years unlike some of the newer entrants (continuity is key here-fund managers will walk in the event of take-overs, uncertainty etc and large reserves of capital allow the investment freedom needed to get your money growing well). Because we are specialists in the field of looking after contractors we have the experience to fully make use of some inland revenue rules that are little understood by more general advisers/direct providers to ensure that you'll be able to contribute more for a given salary and benefit fully from your pension investment. 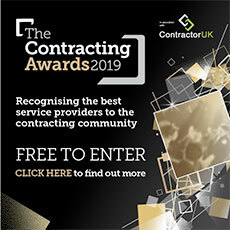 Please indicate whether Contractor UK can use your name and email address to keep you informed about our future IT contractor products and services.